Sayulita, which opened its doors only six months ago, is a new hidden gem tucked away in Concord Square. Sayulita is a new Mexican Taqueria that’s making a name for itself in Downtown Ocala. The restaurant offers a taste of Mexico and traditional favorites with a simple approach to preparing fresh ingredients. 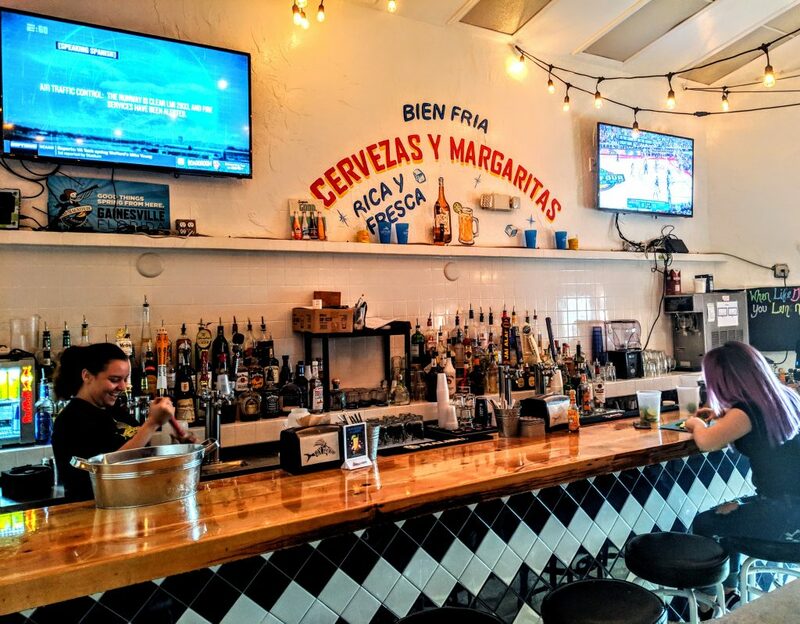 From the classic Jarritos (lightly carbonated fruit drinks), to frozen paletas, homemade churros, carne asada, carnitas, and homemade tortillas, Sayulita promises to please the palate of every patron. All dishes at the Mexican restaurant are made to order using fresh ingredients. Carne Asada tacos are just one of the many fresh options at Sayulita. Churros are a classic Mexican dessert. Guacamole is one of the many traditional Mexican favorites offered at Sayulita. The salsa at Sayulita is homemade with fresh ingredients, just like everything else on the menu. The menu offers a wide variety of taco options, including Mahi and Carnitas. Tacos can be purchased ala carte, and on Tuesday’s the restaurant offers a “Taco Tuesday” special that includes a drink. The Mahi tacos are covered with cabbage and avocados. The carnitas tacos are a signature dish at Sayulita. In addition to a convenient location adjacent to the courthouse, perhaps the best feature of the restaurant is its back patio: An open-air courtyard with additional seating and ambient lighting. The courtyard plays host to live music on weekends and is a must-visit location for anyone looking for a unique downtown dining experience. The courtyard at Sayulita plays host to live music on weekends. In addition to general seating and the courtyard, the back of the house has a fully stocked bar and additional seating options. The back bar at Sayulita is fully stocked, specializing in their signature margaritas. If you find yourself downtown and make a visit to Sayulita, tell them we sent you and let us know about your visit! Share your photos with us at www.ocala-news.com/contact-us. Share your comments with us below and let us know what other types of restaurants you are excited about.